Looking for a grade calculator to calculate your study grades? 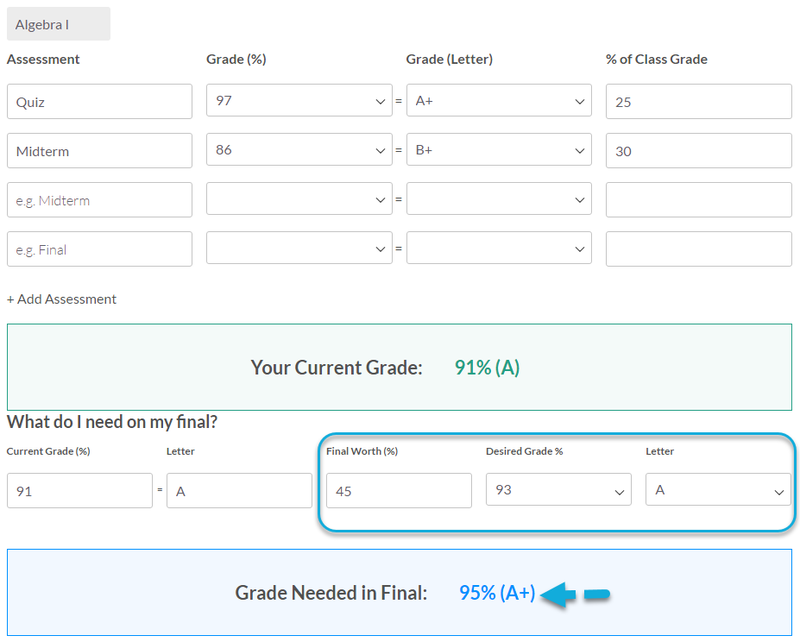 Our simple to use grade calculator allows you to calculate weighted grade calculation for letter and percent grades, and also helps you figure out what you need to get in your finals to get your desired grade. Look at your syllabus that your professor either posted online or handed to you on the first day of class. Their point system will almost always be on one of the first pages. They will tell you their grading scale and how much each assignment is worth. Repeat this process for all classes and that’s it! It is that easy! Pro tip: It should be noted that it is important that you keep all graded work until the end of the semester as professors are humans and may enter your grade in the system incorrectly. It’s that simple. Let us know if you have any ideas on how we can make this calculator more useful. Also, check out GPA calculators if you are interested in calculating your college GPA or high school GPA. Also, check out our GPA guide to learn more on how to calculate your GPA. 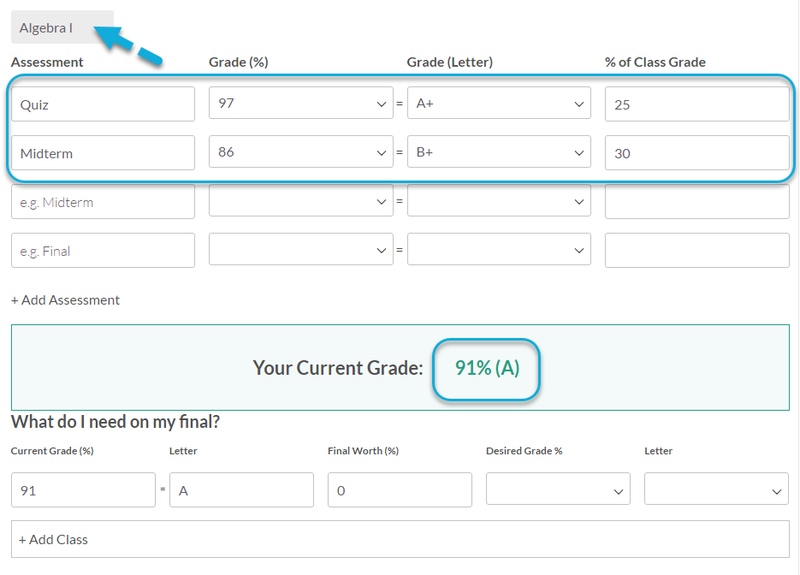 Also, check out our weighted grade calculator and semester grade calculator.